Can you believe it? 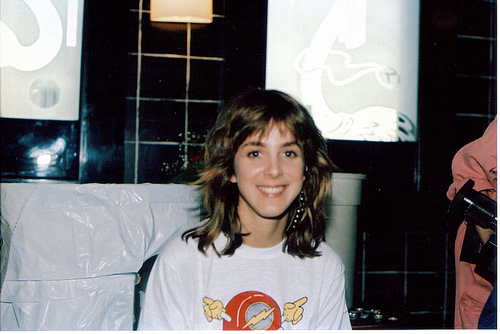 Martha Quinn, sweetheart of the 1980s music video viewing generation and former gal pal of Stiv Bators (Dead Boys, Lords of the New Church), turns 50 today! Happy day, Martha. We still love you. It’s not just me, right? Martha was the best VJ ever. UPDATE: Further evidence that Martha rules: she left a comment! Yay!